I’ve never seen bees do this before! While working in the garden this morning and I kept hearing a loud buzzing. When I looked for the source, I noticed there was a Magnolia flower that had bloomed at dawn and had dropped some luscious stamens on its outstretched petals. Bees doing a Happy Dance! The bees found the stamens and seemed to be quite happy, playing and rolling around. I’ve never seen bees this happy! 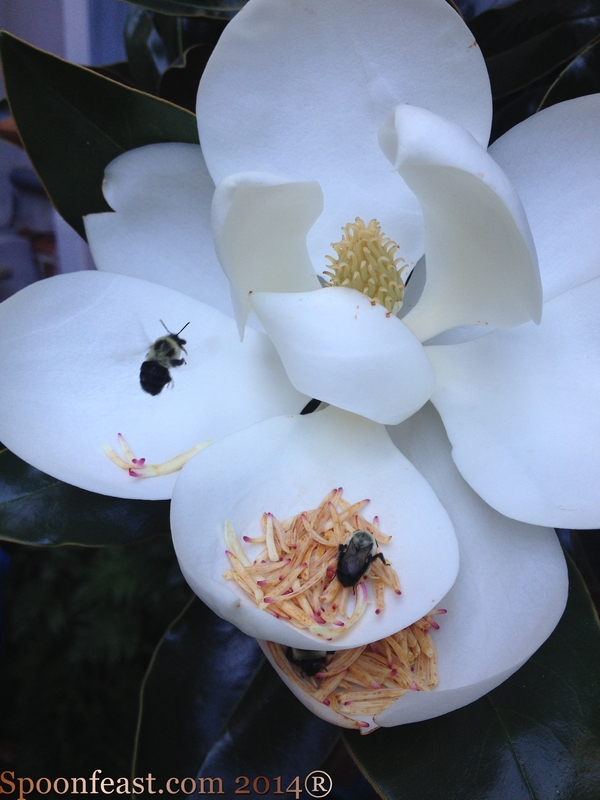 This entry was posted in Photography and tagged bees, buzzing bees, Happy bees, magnolia, magnolia flowers. Bookmark the permalink. ← Zucchini Brownies, Just try it!